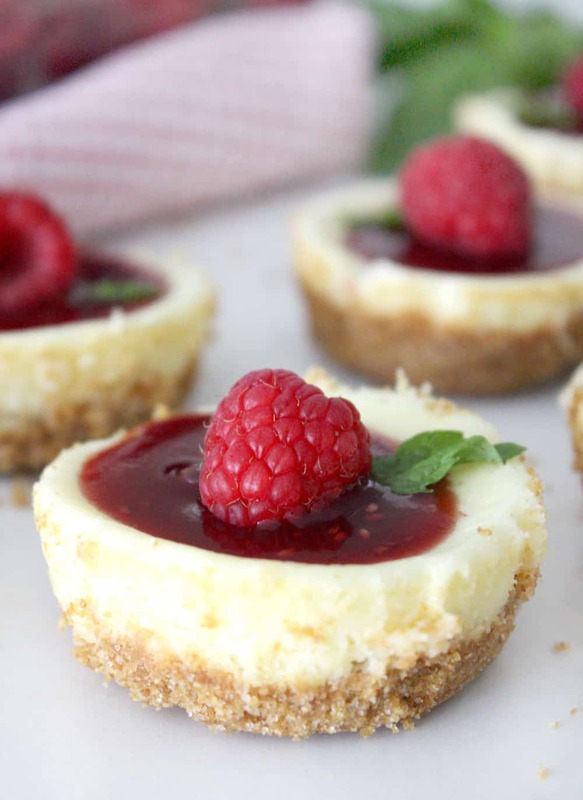 These mini cheesecakes with raspberry puree are unbelievable! 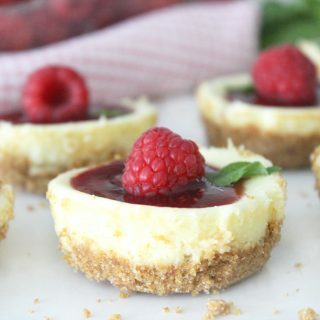 If you want a mini cheesecake recipe that’s easy and delicious look no further! For some reason growing up I always equated cheesecake with being difficult to make, and therefore, intimidating. Well, one fateful day I made these mini cheesecakes and my mind was blown with how easy they were! Not only that, but they were completely delicious! You can actually top these beauties with anything you want: chocolate, caramel, strawberries, you name it! However, my absolute favorite mini cheesecake topping is this raspberry puree. I love all things raspberry and I think it is the perfect addition. In the past I have also done a little cheesecake bar where people can choose their own toppings, and that is super fun too! 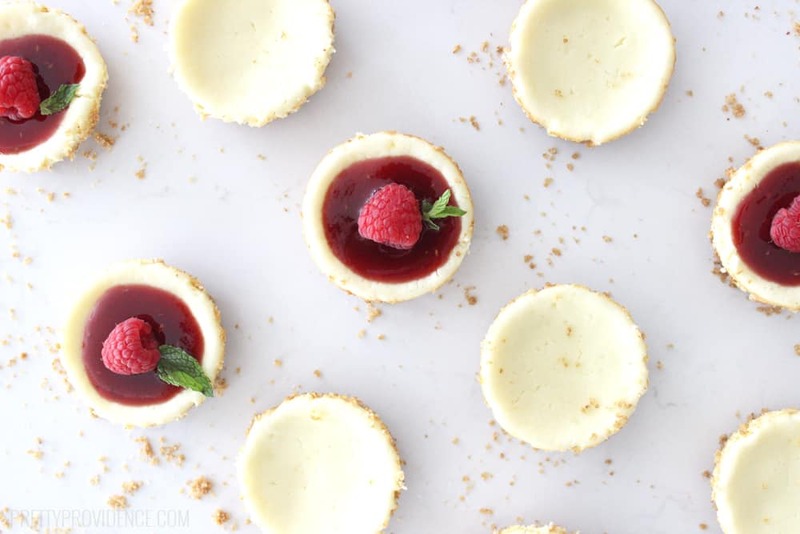 These mini cheesecakes with raspberry puree are unbelievable! 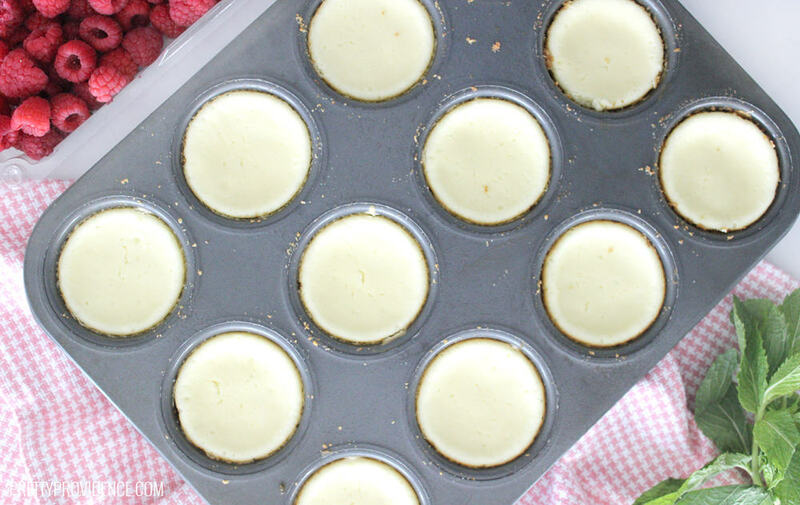 If you want a mini cheesecake recipe that's easy and delicious look no further! Preheat your oven to 325°. Mix together the graham cracker crumbs, sugar, and butter with a fork until combined. 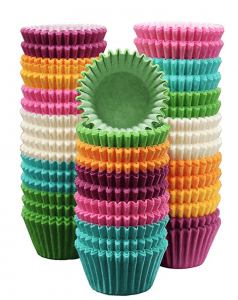 Grease or paper your muffin tins and add about a tablespoon of graham cracker mixture into the bottom of each cup. Push down with fingers to firmly pack so crust holds together. Bake for five minutes and remove from oven, but keep your oven on. In a medium bowl or bosch mixer beat together your cream cheese, sugar, lemon juice and vanilla extract until light and fluffy (about 5 minutes) and then mix in your eggs. Add cream cheese mixture on top of each crust until about 3/4 full. Bake at 325° for 25 minutes. Try not to open the oven door to limit cracking. 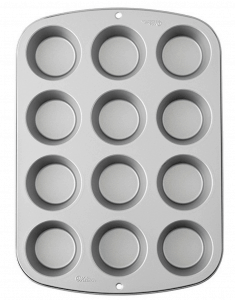 Let cool completely before removing from pan and refrigerate until ready to serve. Garnish with a teaspoon raspberry puree, raspberries and mint leaves if desired! So yummy! Plus, isn’t everything better in miniature? 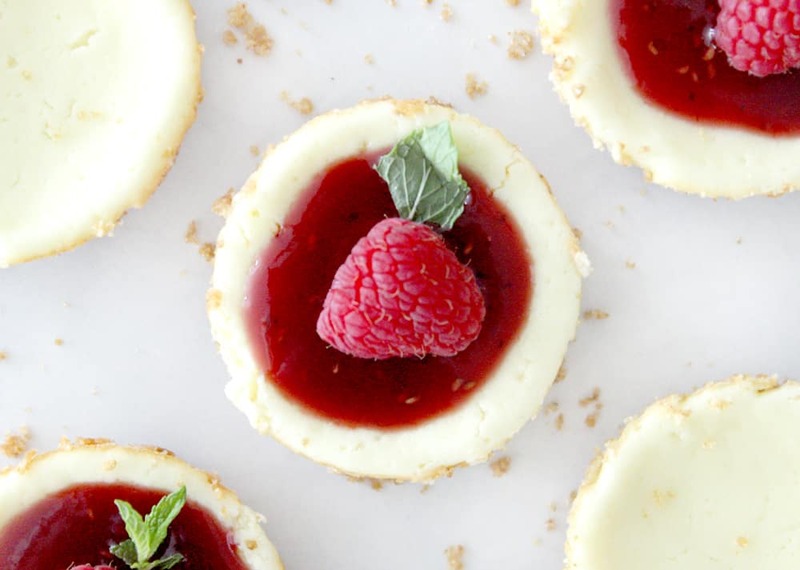 Less than 60 calories each for these mini cheesecakes! 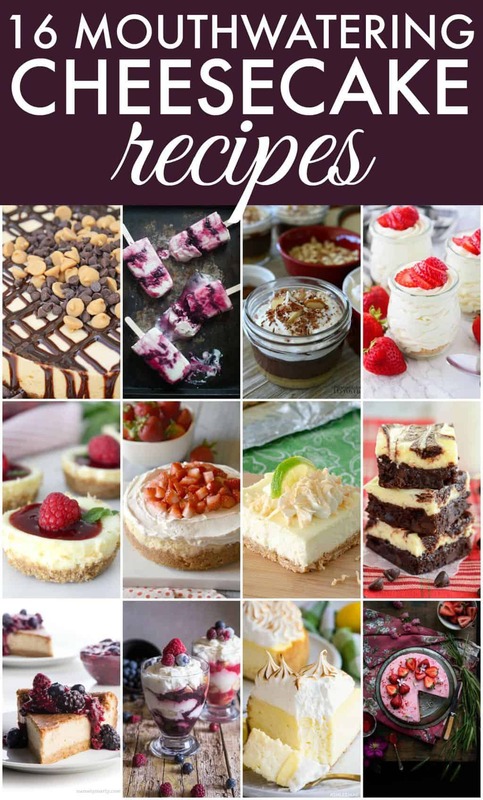 Plus, if you are a cheesecake fan, you also need to check out these delicious cheesecake recipes from my friends!